The E100 Challenge allows you to read and discuss 100 key Bible Passages in a year. In 2012 several dozen church members undertook the challenge and we offered monthly discussion groups to meet with others to discuss and share. Both a day time and an evening group were offered. We are offering this course again in 2018/2019. 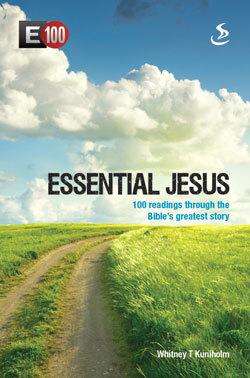 Essential Jesus looks at the life and work of Jesus in 100 key Bible passages.